WordPress is a number one best and simple web platform for the beginners who want to start a website for personal or business. Creating a website is as simple as creating Facebook nowadays. An easy step-by-step website setup guide written by web developers who have created hundreds of websites and helped thousands of others to create their own website. As you can see WordPress is by far the most popular content management system and is used by 65% CMS powered websites worldwide.The thing you need to know is all CMSs have one drawback or the other. And for a new web admin, WordPress is the best way to go! But I’ll talk about Drupal and Joomla, all the same. You should certainly be aware of them, should you decide to switch your CMS at a later point in time. And it will also tell you why perhaps Joomla and Drupal are not best suited to the needs of beginner. Niche specific (optional) – If you are writing a website about a specific niche check if there are popular abbreviations that you can use. For example, in WordPress there are many highly ranked websites with “wp” as part of their name. 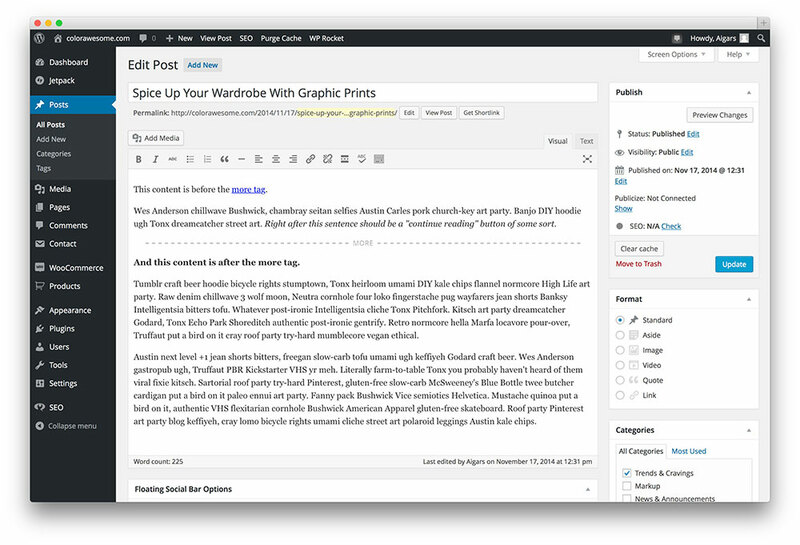 WPEngine.com, a managed hosting service for WordPress. Following the domain registration you can follow this easy to use this three step tutorial for a guided WordPress installation. It is best to select “Get WordPress Preinstalled in this account” and you will not need to get your hands dirty. You’ll need to set admin email ID, username and password, you’re set! And click on the “Add New” button on the top. And choose from one of the themes displayed or search for a specific theme. 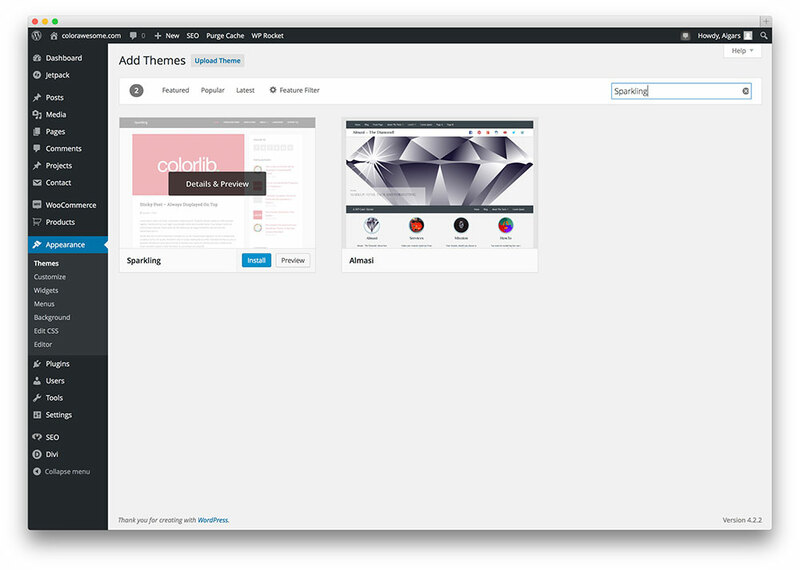 For a list of awesome free themes, you can check out this theme collection. Menus are an extremely important for any website. They offer a means to navigate your site and its content. After all, what’s the point in creating captivating content and if your visitor can not find it easily on your site. Bad menus and navigation can lead to a high bounce rate (the number of visitors as a percentage who leave your site after just viewing just one page). The Bigsweb blog has a plain white background and it keeps things simple. But the homepage of the site is pretty awesome with a purple background and our tagline. A great post with a pre-existing comment history helps your site receive more comments. Aigars wrote an awesome post on BigsWeb a while back, yet till this day it still keeps receiving comments and continues to be a great source of traffic. Content is king may be a cliched line. But it is true now more so than ever before. There are many more websites now than there ever were before. You name a niche, any niche and it is bound to be saturated to the hilt with websites producing content about said niche. WordPress is a very profitable niche. Why? 50% of websites use it and many of them are new to WP. WordPress newbies and even intermediate level users require a few resources to help them get started up and make changes to their WordPress sites, not too dissimilar to the content on BigsWeb 😉 But a website like BigsWeb works well and generates revenue only when we offer value to our readers. So based on your site’s niche and your expertise, you need to produce content that genuinely offers value to would be readers. If you intend to create your site purely for monetary purposes, it will not be successful in the long run. No wait a minute, it may still be profitable but certainly not as successful as it could have been had you tried to genuinely help your audiences.So focus on good content. Categories are a means to divide your content. Categories are a big more important when your site publishes content on a number of issues. You can add categories from your Post editor or you can access it under Posts > Categories. Now you can name the category to create one and then you can add a slug which is basically a URL add on of sorts for all your site’s posts on that specific category. For example, if I know that BigsWeb produces a lot of theme collection content, I can Google search BigsWeb + collections and the first search result link is – https://BigsWeb.com/wp/category/collections/ . With this I can view only the posts that have been published under the category, “Collections”. 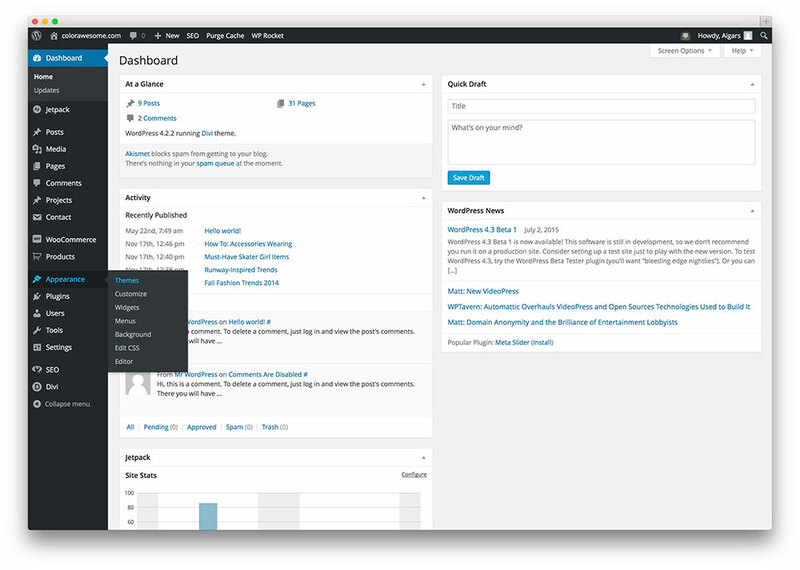 Setting up your WordPress profile. This is rather easy to deal with. 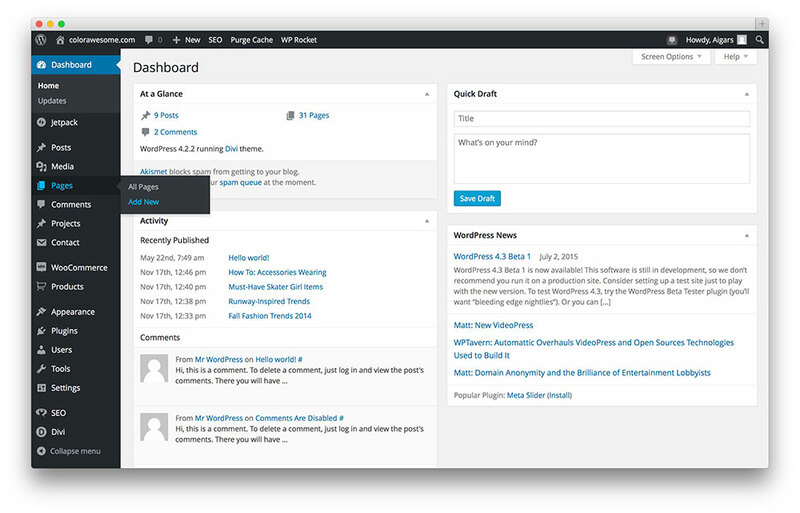 You can edit your profile from the “Edit Your Profile” on your WordPress admin screen on the top right hand corner. You can describe yourself and add the necessary social media links as well. 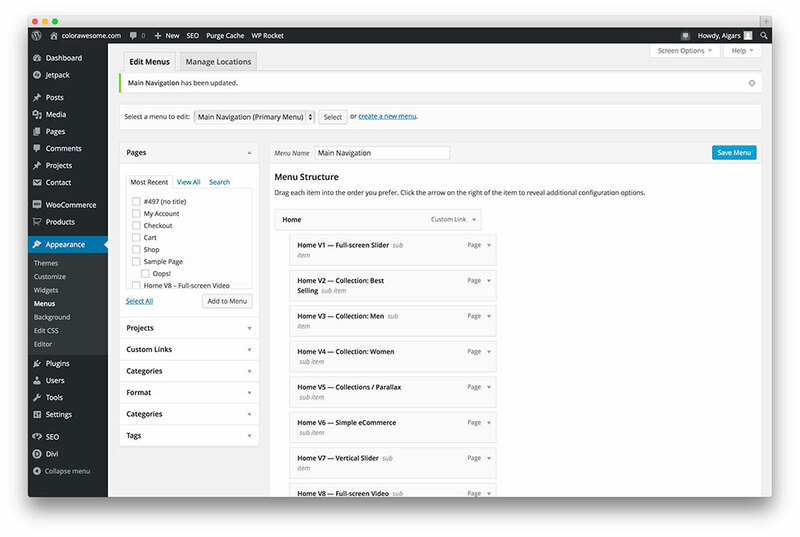 Over the next few weeks and months, we’ll be launching our “Getting Started With WordPress” post series to help you out.